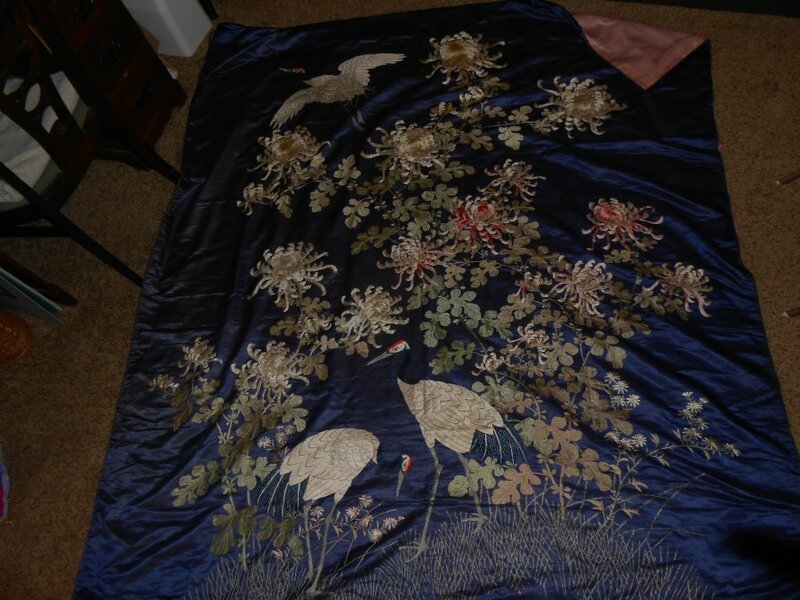 What's 'vintage silk bed spread with crane and flower design' Worth? I'm looking to find out what 'vintage silk bed spread with crane and flower design' is worth. Measures 92" x 70" Backing also looks like silk, and it has a cord-like border with tassels on each corner.